iTURBOS Glass protectors are designed to be 99.99% transparent to promote an optimal, natural, crystal clear viewing experience. simply align the protector with your device and a simple swipe of your finger adheres the protector to your screen. 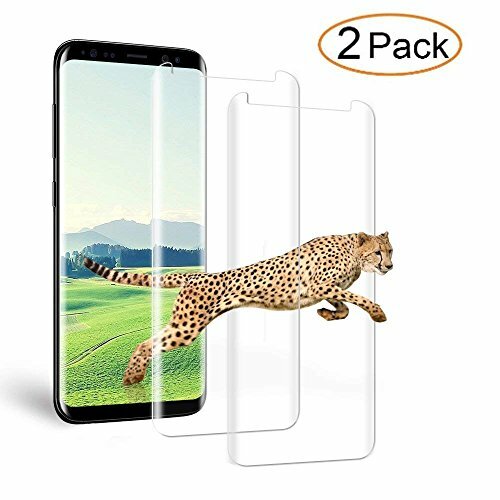 Specifically designed for Samsung Galaxy S8 Plus. Ultra-clear with 99% transparency to promote an optimal, natural viewing experience. 0.25mm thickness is reliable and resilient, but promises no interference with screen sensitivity. Includes: Tempered Glass Screen Protector *2, Wet/Dry Wipes and Installation *2/ User Guide. If you have any questions about this product by Loopilops, contact us by completing and submitting the form below. If you are looking for a specif part number, please include it with your message.